What is a Bachelor of Science in chemical engineering? The chemical engineering degree program is tailored to students who want to analyze and design processes related to the transfer and transformation of energy and materials. Graduates from this program apply knowledge of mathematics, science and engineering to identify, formulate and solve chemical engineering problems. They can also design and conduct experiments safely and analyze and interpret data in preparation for graduate studies or professional careers in a variety of fields. 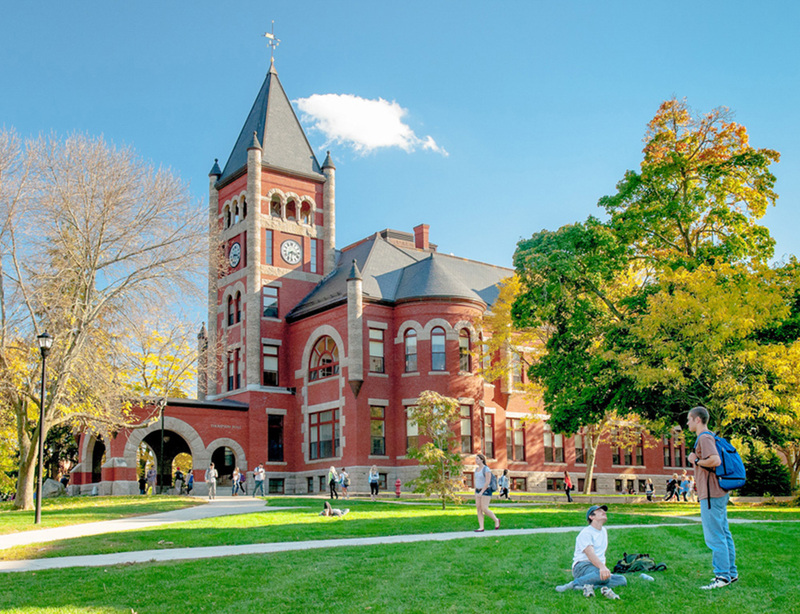 Why study chemical engineering at UNH? You’ll gain a solid foundation of engineering principles through challenging courses and hands-on learning in our state-of-the-art laboratories alongside award-winning faculty. 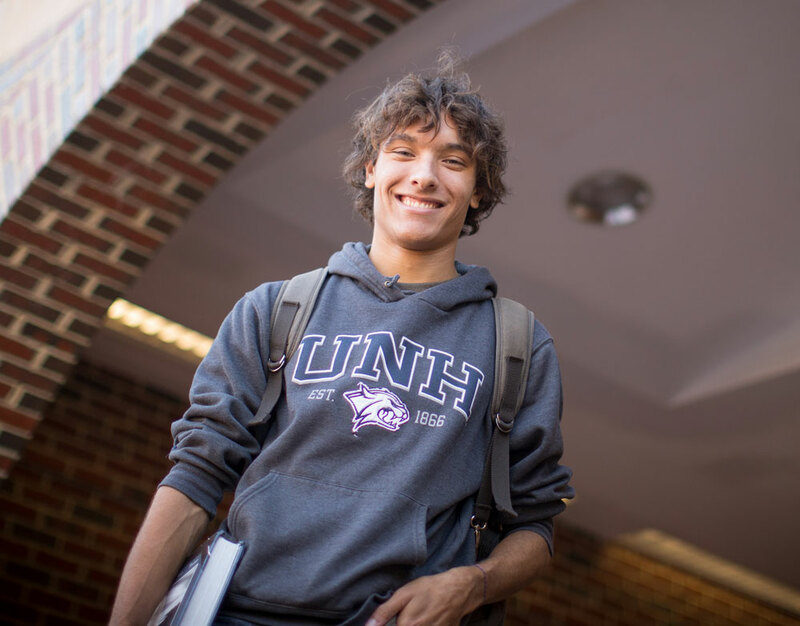 The considerable number of electives in the curriculum offers flexibility so you can design a program that meets your needs and interests, including those focused in the fields of bioengineering, energy and environmental engineering. Chemical engineering is concerned with the analysis and design of processes that deal with the transfer and transformation of energy and material. The curriculum prepares students for productive careers in industry or government and provides a foundation for graduate studies. The program emphasizes chemical engineering fundamentals while offering opportunities for focused study in energy, environmental, or bioengineering. Traditional employment areas in the chemical process industries include industrial chemicals, petroleum and petrochemicals, plastics, pharmaceuticals, metals, textiles, and food. Chemical engineers also are working in increasing numbers in the areas of energy engineering, pollution abatement, and biochemical and biomedical engineering; in addition, they are employed by many government laboratories and agencies as well as private industries and institutions. Graduates from the program have the ability to apply knowledge of mathematics, science, and engineering to identify, formulate, and solve chemical engineering problems as well as to design and conduct experiments safely and analyze and interpret data. They are prepared to pursue advanced studies in chemical engineering. Program graduates gain a sense of professional and ethical responsibility with the ability to apply environmental, safety, economic, and ethical criteria in the design of engineering processes. They learn to function in individual and group working environments, and learn skills in written and oral communication and the effective use of computers for engineering practice, including information search in the library and on the Internet. They also understand the need for lifelong learning and the significance of societal and global issues relevant to chemical engineering. A minimum of 129 credits is required for graduation with the degree of bachelor of science in chemical engineering. There are ten electives in the chemical engineering curriculum. Six of these are for the Discovery Program requirements. The remaining four electives should consist of three chemical engineering electives and one additional technical elective. Students are required to obtain a minimum 2.0 grade-point average in CHE 501 Introduction to Chemical Engineering I-CHE 502 Introduction to Chemical Engineering II and in overall standing at the end of the sophomore year in order to continue in the major. Study abroad (Exchange) chemical engineering students are required to have a cumulative GPA of 3.0 or better in math, physics, chemistry, and CHE courses at the end of the semester prior to their exchange semester. MATH 425 Calculus I satisifies the Discovery Foundation Quantitative Reasoning category. PHYS 407 General Physics I or CHEM 405 Chemical Principles for Engineers satisfies the Discovery Physical Science (with lab) category. CHE 502 Introduction to Chemical Engineering II satisfies the Discovery Inquiry requirement. MATH 740 Design of Experiments I or MATH 644 Statistics for Engineers and Scientists is the recommended technical elective. CHE 708 Chemical Engineering Design satisfies the Discovery Capstone Experience/Course. CHE students do not have to take a course in the Discovery ETS category since they satisfy this requirement through a combination of courses in the CHE curriculum.